Dine-in only, with purchase off $60 or more. (*even if separate checks are given). Not valid on holidays. Void if altered. One coupon per party. Not valid with any other offer. Coupon void if altered. Expires 05/05/2019. Dine-in only. (*even if separate checks are given). Not valid on holidays. Void if altered. One coupon per party. Not valid with any other offer. Coupon void if altered. Expires 05/05/2019. Dine-in only, with purchase of $45 or more. (*even if separate checks are given). Not valid on holidays. Void if altered. One coupon per party. Not valid with any other offer. Coupon void if altered. Expires 05/05/2019. 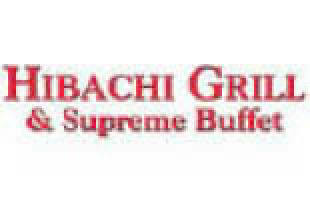 Hibachi Grill & Supreme Buffet is the largest restaurant in Woodbridge, VA and the surrounding area. We have a wide selection of favorite foods including Chinese, Japanese, American, Italian and Mexican Items on our Supreme buffet. There is something for everyone! Every day we offer over 200 items on our buffet bar with favorites like Hibachi chicken, Beef tenderloin and Italian Shrimp. On our dinner buffet we offer prime choice ribeye steak. For our Vegetarian diners, we have a large salad buffet with fresh vegetables, many toppings and a wide variety of dressings. If you are having a wedding rehearsal, party, business lunch or any occasion, please ask about our private rooms for special occasions. No matter what your taste Hibachi Grill is sure to satisfy. After all, satisfied customers are what has made our restaurant so popular for all of these years. Come visit soon! Our diners are diverse..from business professionals looking for a quick lunch to families and couples enjoying our great food and prices all day and night. People come from far away to enjoy our restaurant's food and atmosphere. Our family-oriented restaurant is kid friendly and offers kid friendly items like pizza, mashed potatoes and homemade yeast rolls. Don't forget our spectacular dessert buffet with a wide variety of fresh fruit, pastries and cookies.